A 2-year-old girl who was seriously injured in a crash that killed her 4-year-old sister in Antioch on Wednesday has been declared brain dead, her family announced Sunday. 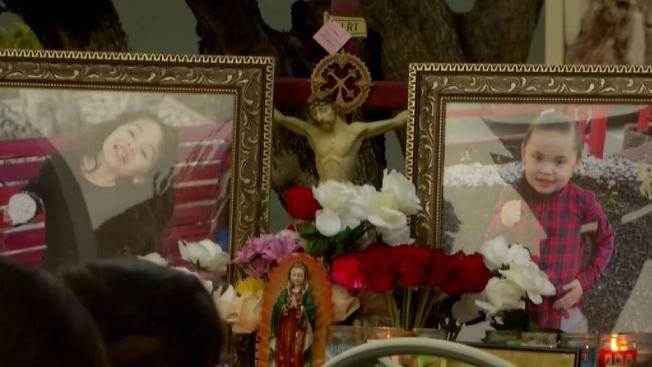 Camila Cardoza, who has been on life support since the driver of an allegedly stolen truck ran a red light and crashed into her family's truck, will remain on life support so her organs can be donated. 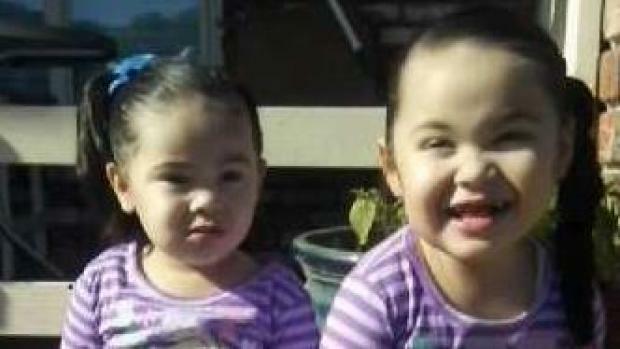 Her older sister, Lenexy Cardoza, 4, died of her injuries. The driver of the allegedly stolen Ford F-250 has been identified as Noe Saucedo, 23, of Pittsburg. Murder charges were filed Friday in Contra Costa County Superior Court against Saucedo. The collision was reported shortly after 12:47 p.m. Wednesday when the Contra Costa County Sheriff's Office received information of a stolen vehicle in Pittsburg. A deputy spotted the vehicle and followed as it headed eastbound on Highway 4, sheriff's officials said. Murder charges were filed Friday in Contra Costa County Superior Court against a Pittsburg man who allegedly stole a truck that was involved in a collision that killed a 4-year-old girl, according to sheriff's officials. At that time, the deputy did not activate his vehicle's emergency lights, officials said. The suspect vehicle then went through a red light at Somersville Road in Antioch and collided with the family's Ford F-150. "I don’t have words for this," Jesus Cardoza, the children's father, said after the crash. "It’s a tragedy. My family was not supposed to be there." Jesus Cardoza's wife, Edith Cardoza, was also in the family's truck. She underwent surgery Thursday morning for major injuries. Her back, shoulder, an arm and some ribs are broken, and her skull is also hurt. A GoFundMe campaign has been set up for the family. As of Sunday afternoon, more that $25,000 had been raised.